VIEW MOVE-IN READY HOMES FOR INFORMATION ON MODEL HOMES AVAILABLE FOR PURCHASE. Calling all adventure seekers, outdoor lovers, trend setters and design gurus alike. The Canyonview neighborhood at Candelas, TRI Pointe Homes has what you’ve been looking for. 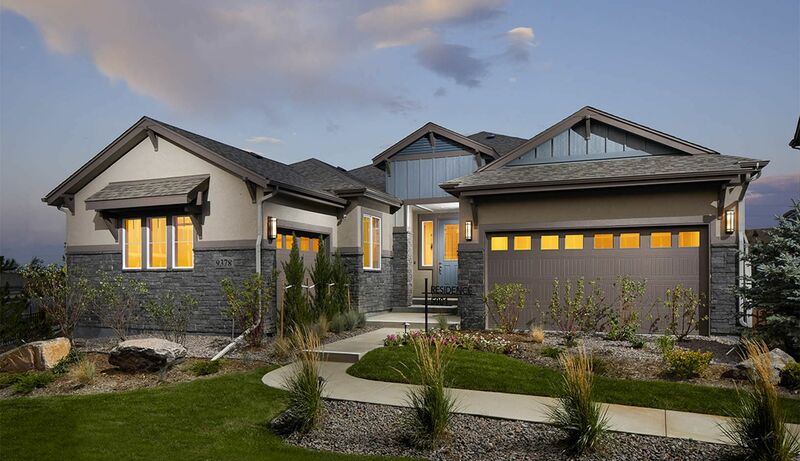 Where exceptional homes and an engaging community meet the majestic Rocky Mountains, you’ll find the Premier Collection at Candelas. Enjoy over 13 miles of community trails or spend the day pool side at the resort-style swim and fitness club. No matter what your activity, Candelas is a robust community, where the Colorado lifestyle prevails in the Premier Collection of homes. The Premier Collection features both ranch and two-story homes, with spacious designs ranging from approximately 2,345 sf – 3,663 sf, 3 – 5 bedrooms, up to 4 ½ baths, and many flexible room options. You’ll find everything from open lofts for homework and games, to private studies for work at home, or maybe a project room is more your thing. Choose from finished basements, wet bars, theater rooms, luxurious spa baths or stunning kitchen appliances fit for a chef. With 5 floorplans to choose from, selecting the one to fit your lifestyle has never been more fun.